Until 2006, the Allersberger Gilardi manufactory made Christmas tree decorations out of gold and silver plates. A small museum has now been set up in a former manufacturing hall, informing about the history and production of the famous »Allersberger Christmas tree decoration«. Unfortunately, many pieces of jewelery are only available as unique pieces and must be appropriately protected. 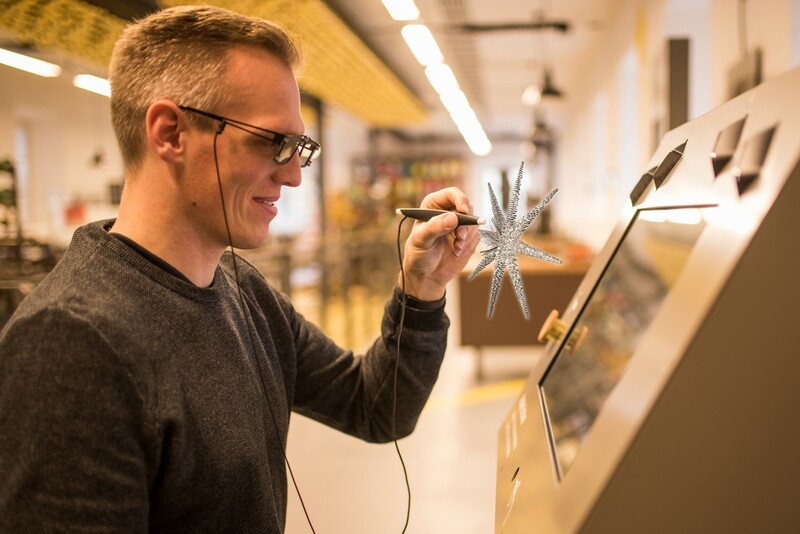 With the interactive installation of the »virtual Christmas tree« it is now possible to experience the exhibits at least »virtual« tangible. For this, the essential products were 3D-modeled in detail. The simulation runs on an innovative, stereoscopic display, which has been extended by the recognition of the head position (»head tracking«) – this enables a high-resolution, immersive and holographic-looking three-dimensional representation. 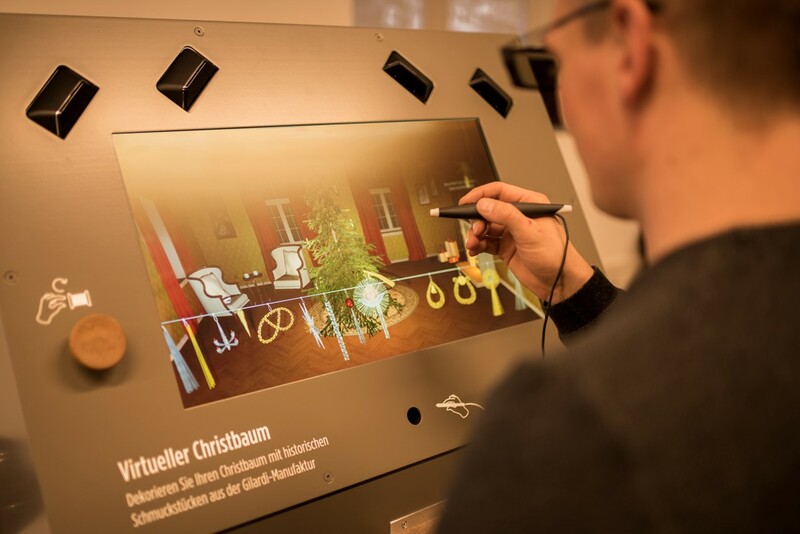 Visitors can virtually touch the exhibits with a »pen«, to see them closely in front of the screen.